Creativity is everywhere and for everyone—you don’t have to be a superhuman genius to be an artist; you just have to be you. That’s the message of Steal Like an Artist, a book about how to steal inspiration from the world around you and discover the artist within you. Whether you are a painter, writer, or even an entrepreneur, these actions will help you achieve artistic success. 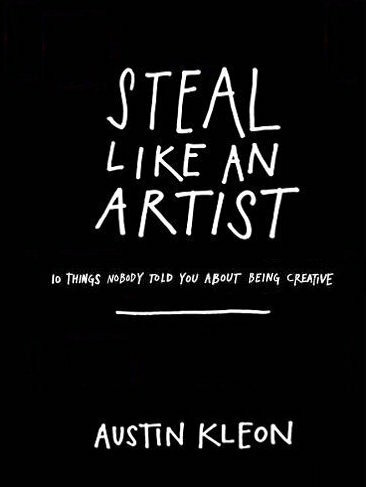 Austin Kleon is a New York Times bestselling author of three illustrated books, including Steal Like an Artist. His work has been translated into more than 20 languages and featured in The New York Times and The Wall Street Journal. He speaks about creativity in the digital age for organizations such as Pixar, Google, TEDx and The Economist. In previous lives, he worked as a librarian, a web designer and an advertising copywriter. He grew up in the cornfields of Ohio, but now he lives in Austin, Texas, with his wife and sons. Get some alone time to brainstorm and come up with new and creative ideas.